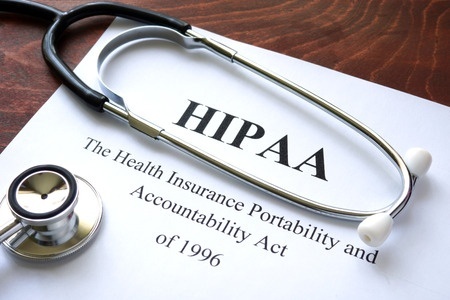 The American Medical Informatics Association has suggested now is the time to update the Health Insurance Portability and Accountability Act (HIPAA) to make sure the legislation fits today’s connected world. The legislation was first introduced more than 20 years ago at a time when the Internet was just in its infancy. Over the past two decades, technology has advanced in ways that could not have been predicted when the legislation was written. Updates are now required to ensure HIPAA maintains pace with technology. HIPAA is perhaps best known for its privacy provisions, although these are commonly misunderstood by patients and healthcare providers alike. The HIPAA Privacy Rule allows patients to access their health data; although many patients are confused about what data they are able to access and what their rights actually are. The Department of Health and Human Services produced video guides last year to help patients understand their right to access their healthcare data under HIPAA; however, AMIA suggests more should be done to clarify the HIPAA right to access. Healthcare providers often provide access to a limited range of patients’ health information via patient portals – information such as prescribed medications, allergies and lab test results; however, AMIA suggests the HIPAA Privacy Rule should be clarified so patients are aware they have the right to access all health data held by a covered entity in a designated record set or to obtain a digital copy of their legal health record. In the paper it is suggested this could be clarified in guidance from the Office for Civil Rights rather than a HIPAA legislation update. However, an update to the legislation has been suggested to cover mHealth apps and related technologies. Currently, health data is collected, stored, and transmitted by a wide range of non-HIPAA-covered entities, yet non-covered entities are not required to provide users with access to their data. If HIPAA is not extended to include these non-covered entities, AMIA suggests there should at least be HIPAA-like requirements for non-covered entities that would allow users of mHealth apps to gain access to their data. An alternative would be for industry stakeholders to develop codes of conduct that could be followed to ensure patients are able to access their data, if required. AMIA also recommends federal officials and private sector stakeholders develop a process for vetting mHealth applications to ensure they have a minimum level of privacy, security, and safety protections. In total, 17 policy recommendations were made. The paper was recently published in JAMIA.